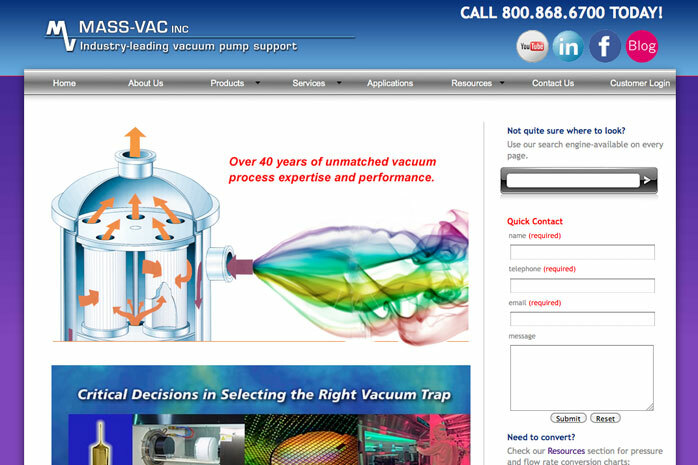 The original web site for Mass-Vac Inc. was functional but needed an updated, more engaging look as well as various enhancements that the old site structure, navigation, and hierarchy could no longer support. Along with bringing forward all the existing product and services content, we developed much-needed new content and functionality. We enhanced the site with a site search function, a quick contact form, and a corporate capabilities video that runs right in place on the Home page. Copyright 2016 © Garrison Bray Inc.